When it comes to the ACE Factor – we’ve been in the commercial catering industry for over 35 years and continually strive for excellence in all facets of the business to remain at the top of our game. Customer satisfaction is the number one factor for success; hence our focus is to provide our valued customers with quality commercial catering equipment at the best prices, genuine customer service and expertise in total turn-key commercial kitchen and bar fit-outs. In your game you may be deliberating on whether to play a king, queen or jack; spending hours researching all the options to identify the right commercial kitchen equipment for your business. Meanwhile, our team has the top-ranking Ace card ideally suited to your commercial catering needs. So, don’t allow the Joker to talk you into wasting your best card on buying commercial food equipment that you don’t actually need or that is inferior to your requirements. Instead, contact the professionals at ACE Catering Equipment. We can advise you on selecting the exact equipment best suited to your business, that will work smoothly and efficiently, therefore giving you a winning hand which will save you thousands of dollars today and in the years to come! 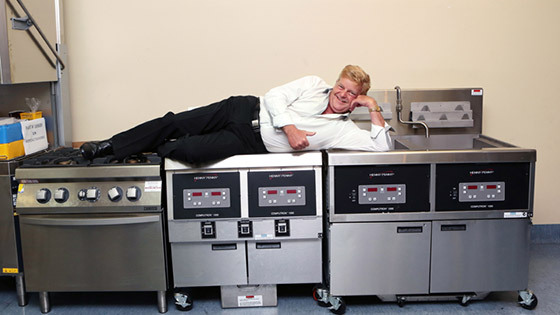 Whether you are starting from scratch and need help with designing, planning and fitting out your catering business or are looking to refurbish or replace a specific item of commercial cooking equipment, ACE Catering Equipment are masters at what we do and are here to ensure your business is set up for success. We have a trusted and reliable team of professional electricians, shop fitters, plumbers and gas fitters providing our clients with a One-Stop-Shop. Call us today at ACE Catering Equipment ph. (07) 32795204 or mobile: 0414 887 298 to get your commercial catering equipment decision correct from the start. We want to help you “Ace” what you do so that your reputation for excellence brings more business your way.